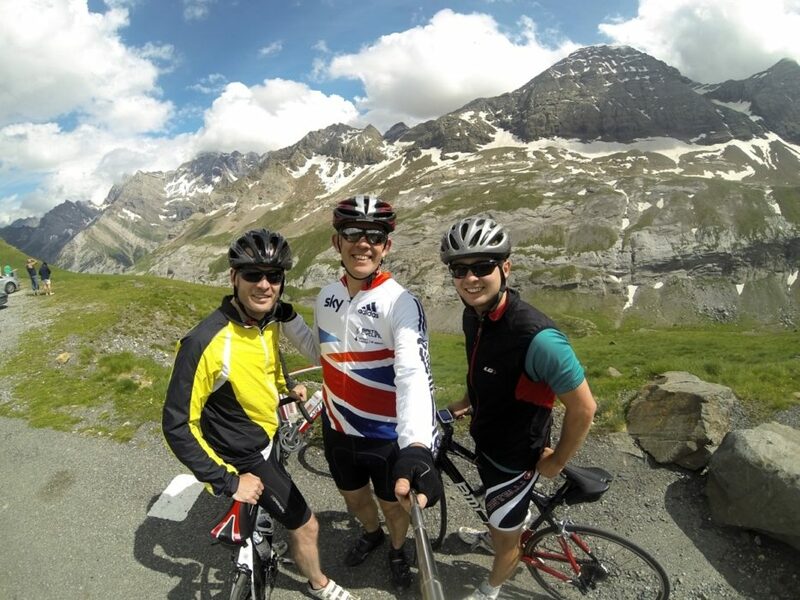 Seen the Tour de France? 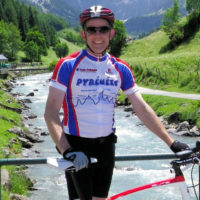 Cycled the Col du Tourmalet? Want to do something else? 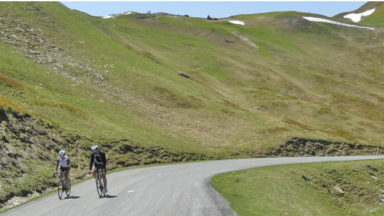 Why not try these two huge and stunning lesser-known climbs in the heart of the Pyrenees? 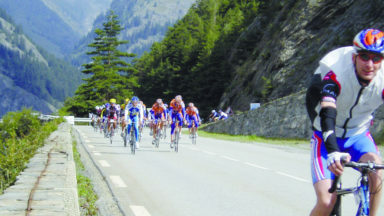 The city of Lourdes in the region of the Hautes-Pyrénées in France marks the gateway to a road cyclist’s paradise. 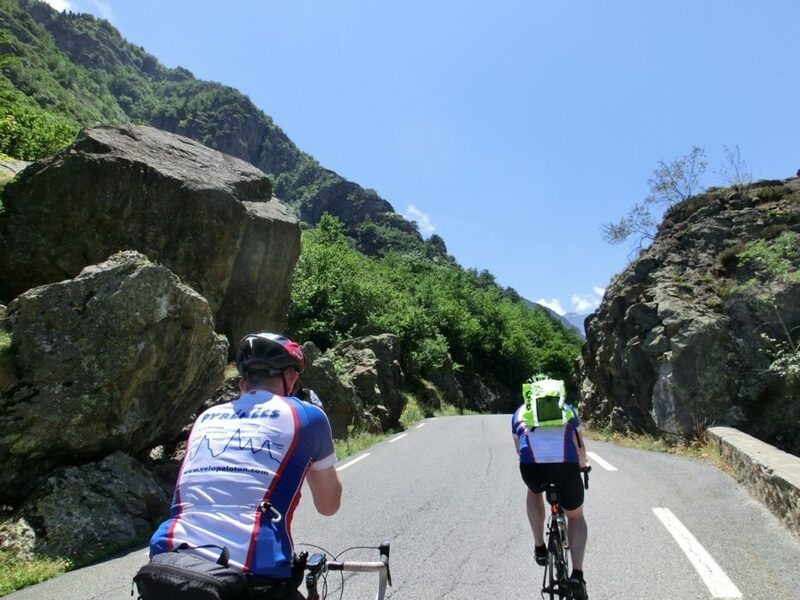 Within easy striking distance are many well-known Tour de France climbs, such as the Col du Tourmalet, the Cols of Soulor, Aubisque and Aspin and the ski station climbs of Hautacam, Cauterets and Luz Ardiden. But there are two stunning rides that the Tour has never visited and never will: the Col de Tentes and the Cirque de Troumouse. 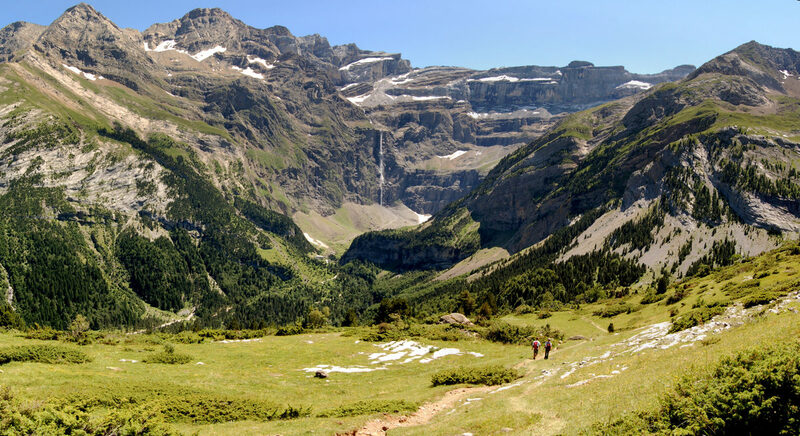 One finishes in the Pyrenees National Park and the other at a World Heritage Site, and both locations are too environmentally sensitive to allow the Tour circus to visit. The road cyclist, whilst mindful of the environment, isn’t bringing with them thousands of people and a media scrum so these climbs offer the fine treat of a 40km climb to over 2000m. Both are tough hors categorie climbs, but you are richly rewarded for your effort with amazing views of beautiful countryside. 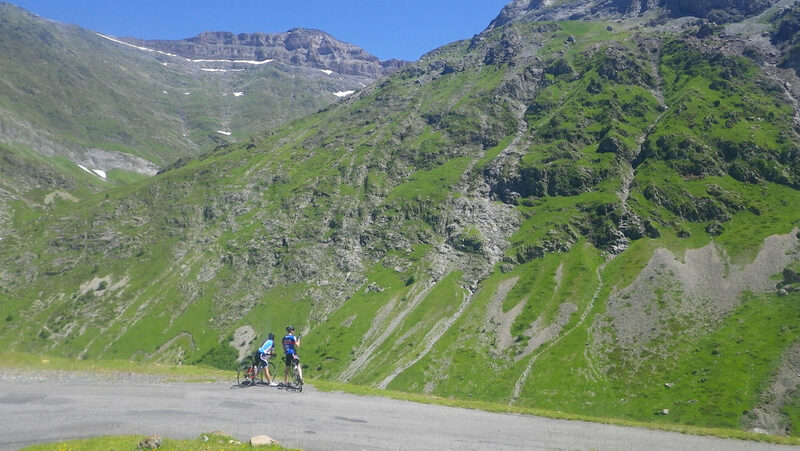 On one route you visit the Gavarnie with its spectacular cirque, and on the other you ride crazy sections of switchback turns (lacets) to visit a wild and remote cirque; once you’ve finished the climbs, there's still that massive descent. I usually start from the village of Pierrefitte-Nestelas about 20km south of Lourdes. 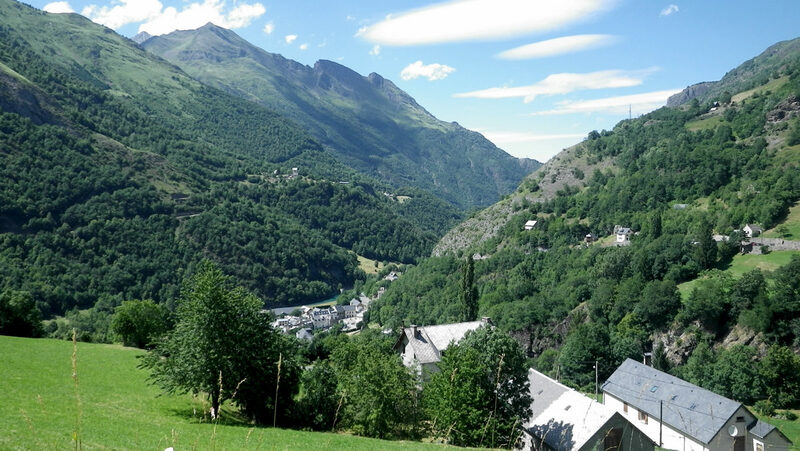 This village marks the transition from the wide, flat valley of the Gave de Pau into the climbing territory of the Gorge de Luz, and maximises the climbing you can enjoy. There are plenty of places to park in Pierrefitte; the square adjacent to the old railway station is a good choice. From the railway station follow the road through the village towards the mountains. Shortly beyond the town is the roundabout. Take the D921 signposted to Luz Saint Sauveur. This first section eases you into the route gently, allowing you to warm up and get those legs spinning. It isn’t steep, rarely, if ever, going beyond 5% as the road follows gently and occasionally sinuously up the narrow defile of the Gorge de Luz. The gorge immediately gives you the sense you are heading into the mountains, and the anticipation is delicious. On the bike, you’re riding next to the low retaining wall and enjoying views up the steep walls and down to the river 30 metres below. Just past the narrowest section, the road rounds a bluff then passes through an open-sided avalanche tunnel. Beyond the tunnel, the road is prone to rockfall: there’s a section of catch-netting overhead so I usually hurry through this. From time to time car-sized boulders crash through onto the road. As you pass the signs to the hamlet of Chèze, the gorge has opened out, and the pretty town of Luz appears ahead; it often catches the sun while you dip in and out of the shade in the gorge. A long straight section climbs into the town, which always feels a bit of a drag, but the angle is still shallow and it passes quickly. There are toilets, shops, a supermarket and cafés here, but really it’s much too early to stop: you’re only 12.5km into your journey. Mentally file it away as a very good option on the way back. The town is often surprisingly busy and bustling. Cycle right to the centre of town, dodging the traffic jostling for position at the crossroads and avoid the temptation to climb the Col du Tourmalet again; instead, turn right (signposted to Gavarnie). You lose a little height then turn left, and as you exit the town the main event begins. Leaving the town there’s a steep ramp at 10% to remind you of the rigours ahead, and your attention is drawn to the symmetrical arch of the Pont Napoléon, commissioned by Emperor Napoléon III after a visit to the area in 1859. At weekends in the summer, people bungy jump from the parapet which stands 63m above the torrent below. The route climbs steadily and pleasantly up the valley to the hamlet of Gèdre which offers a bar and public toilets. The sections of pavé in the town, designed to slow the traffic, are fine on the way up, but quite a vibration fest on the return. The route steepens into two broad lacets, offering you a chance to enjoy a spectacular view back down the valley and to realise how much height you've gained. Here the route splits, with Route 1 continuing to Gavarnie and Route 2 to the Cirque de Troumouse. Today, I’d disagree with the description. On a summer’s day the valley seems green, pleasant and lovely, and you can admire the shape and texture of the huge boulders as you cycle gently upwards. 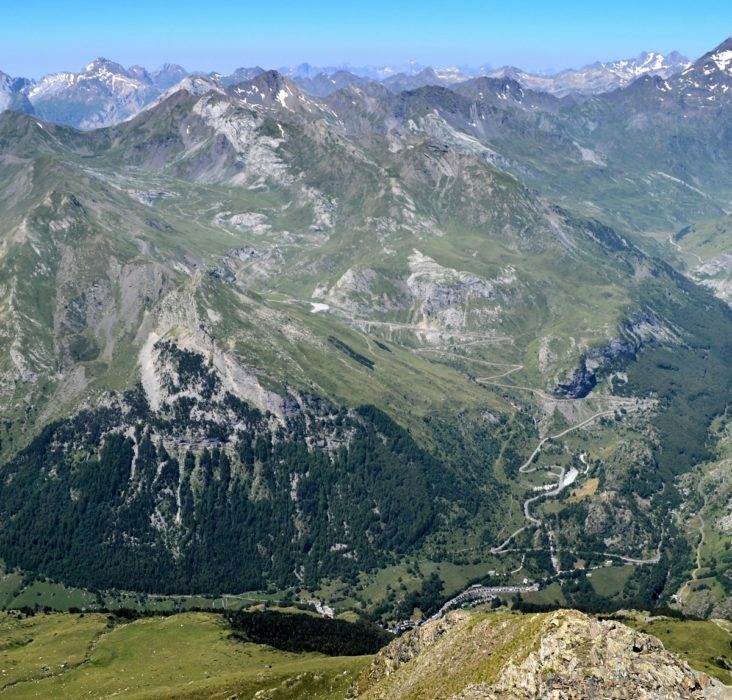 Shortly after, the 3000m summits of the Cirque de Gavarnie hove into view, and you smile with quiet satisfaction at the progress you’re making. A few more steady kilometres bring you to Gavarnie itself, without doubt deserving of its World Heritage status due to the splendour of the Cirque de Gavarnie. It was described by Victor Hugo as “a mountain and a wall at the same time; it is the most mysterious edifice of the most mysterious of architects; it is the Colosseum of nature” and Flaubert considered it the most spectacular thing he had seen. But on the way up, there’s a still a mountain to climb: in fact there’s still another 800m of climbing. So instead of turning left into the village, having coffee and cake, admiring the view, and deciding on the extent to which you agree with Hugo, Flaubert and Taine, you must instead turn right, past the car parks, and follow the road to the ski station. Your legs won't thank you as the road climbs at 10% towards a cliff on which you can just make out the ledge where the road was hewn. As you cycle the cliff, the views are expansive, but your legs are aching and heart pounding. 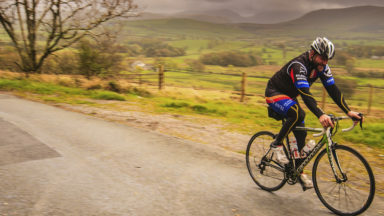 The road continues relentlessly upwards and you to have to hope you’re using a compact chainset and you’ll wish you were using the gear cassette from your mountain bike. The countryside you pass through is as wild and rugged as the climbing. Presently you come to the ski station; luckily it’s hidden behind a moraine wall because it’s so ugly. Looking up and to your left you can see cars on the skyline white against the sun, but they’re still another 400m above you and your heart sinks a little. The last section is simply hard, and in truth I find it a bit dull, though as you come into the car park people will often clap, cheer or tell you bravo! This immediately erases the dullness and your spirits rise once more. 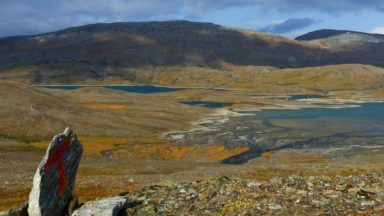 You’ve just completed a massive climb, and the views of the old glaciers, high mountain peaks and birds of prey circling overhead are an ample reward for the effort. 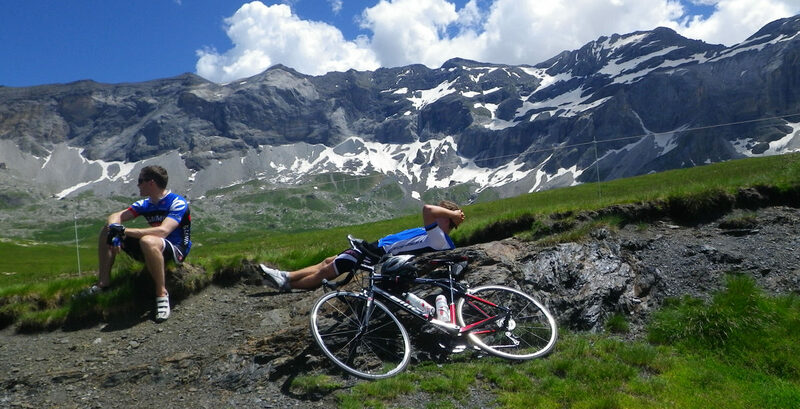 At last you can think about coffee and cake, and take the free ride back down to Gavarnie to find some. At the junction above Gèdre, turn left (signposted to the Cirque de Troumouse). The route zig zags steeply to gain the valley carrying the Gave d’Héas. The steepness continues and feels unrelenting as you climb a succession of 13% ramps up the near straight valley to the Hamlet of Héas. It can feel very hot here as the sun reflects off the cliff walls. This section needs to be endured somewhat, though there are interesting boulders and rock formations, and you can pick out other walks or cycles you might like to try. At Héas, it seems unlikely that the road will continue. Ahead you can clearly see there’s no road, and on your right the slope plummeting from the summits above seems too steep to even carry grass, let alone a road. A tollbooth guards the climb, but bikes go free, and it marks the entry to one of the best sets of lacets in France. They are very tight – just a few tens of metres between each 180 degree turn, and they allow you to see how much height gain your earlier effort has given. 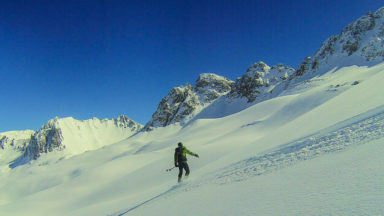 The ever-changing view of valley, cliff and summit maximises the enjoyment and minimises the pain of the gradient. The lacets end at Le Maillet, a mountain hotel set in a stunning cirque, and you breathe a sigh of relief because the climbing must be over and it feels like it should be the finish. However, checking the GPS shows you’re still 3km and 300m short of your objective. Following the road with your eyes you notice it climbs improbably up the side of a cliff and you realise there’s no choice to but continue; it would be so disappointing to turn back here when the ride isn’t done. With some trepidation, you swallow a gel, chew on your last energy bar and empty your bottle, then tackle the cliff with its 10% gradient. As you reach the top of the cliff, you realise the route isn’t finished with you yet: from its top there is another section of tight and steep lacets to finally take you to the summit. By the time you reach the car park, you’re gasping, ready to faint, glad to get off the bike for a moment and would love to have that summit café stop you promised yourself. Sometimes there’s an ice-cream van there, sometimes not, but you’re unlikely to find any coffee or cake unless you can chat up the owners of the few camper vans that make it up here. None of that matters. I simply stop here, enjoy the air, the space, the peace and the magnificence of the location. Don’t forget to put on your gilet. The cirques are at least ten degrees colder than the valley and you can get cold very quickly. 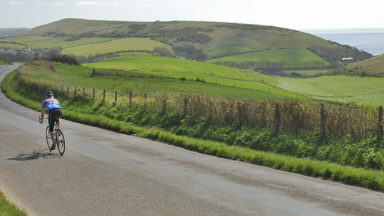 The upper sections of both routes twist and turn steeply and require care. Too much speed into a turn could be disastrous. If descending into Gavarnie I recommend keeping the speed down because from the cliff to the village, there are often pedestrians about who won’t see or hear you coming. Gèdre has traffic calming strips, pedestrians and a 30km/h speed limit. Lower down, just before Luz, there are pedestrians at the Pont Napoléon, so care there is advised. However, the rest of the descent is fast if you wish – you’re at the same speed as the traffic – and it's glorious!